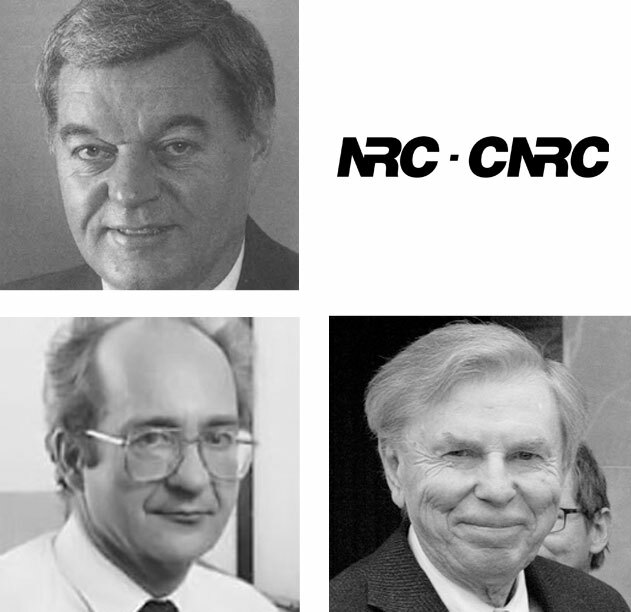 Nestor Burtnyk, Ken Pulfer, and Marceli Wein were scientists and engineers and Canadian Digital Media Pioneers. Their work in computer music and animation in the early 1970’s at the National Research Council of Canada in Ottawa was extremely important in the field of human-computer interaction – not just for music and animation. They and the team they led during the initial decades of the digital media revolution played a fundamental role in establishing Canada as innovators in the exploitation of computer technology in the creative and cultural communities. The NRC music system supported up to four voices, each with its own composer-specified timbre. Multiple monitors allowed a composer to work on one of the melodic lines while viewing a color-coded visualization of all four voices on a second monitor. A professional half-inch Ampex four-track audio tape recorder under computer control recorded the music as it was digitally synthesized in real time. An organ keyboard had been converted for use as an input device to match the needs of professional musicians. The system relied heavily on bimanual input, something that many applications today still struggle to support. It included both a mouse and a special-purpose chording keyboard modeled after the earlier work by Engelbart and English. Like the original SRI mouse, the outer case for the NRC mouse was made of wood. There were also large “thumb wheels” that could be used to scroll through a composition and to adjust the pitch. Both systems were part of a larger agenda in the Electrical Engineering Division of the National Research Council to study human-computer interaction. A key insight was Pulfer’s observation that to do this effectively it was important to work with users in a rich and potent application domain and that music, and animation, were perfect candidates because musicians and animators had specialized skills, they were highly creative, and what they did could be generalized to other professions because many of the fundamental issues in interaction design cross disciplinary boundaries. Later work by Burtnyk and Wein looked at other aspects of human-computer interaction, including interaction techniques for specifying 3D parameters using 2D devices that mapped 2D user movement to 3D parameter spaces, including the first implementation of a “virtual trackball” using a pen-based tablet, something that is now a part of the standard toolkit for anyone developing apps on smartphones or other devices that support gestural input. More on NRC’s innovations in digital media.